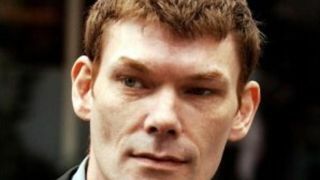 Chances of a conviction "not high"
Hacker Gary McKinnon won't face charges here in the UK. The announcement brings to an end a 10-year legal battle. McKinnon was also going to be extradited to the US to face charges, and possibly a 60-year jail sentence, until Home Secretary Theresa May stepped in. McKinnon was accused of hacking into US government computers. He admits he did access them, but claims he was looking for evidence of UFOs. He suffers from Asperger's syndrome. Director of Public Prosecutions Keir Starmer QC today announced McKinnon wouldn't face charges. He said the chances of a successful conviction were "not high". McKinnon has been fighting extradition since 2002. A couple of months ago, Home Secretary Theresa May told parliament that McKinnon was too ill to be extradited. It was decided the threat of extradition could lead to him committing suicide, and so he was allowed to stay in the UK on human rights grounds. Announcing McKinnon wouldn't face charges, Mr Starmer said in a statement: "The potential difficulties in bringing a case in England and Wales now should not be underestimated, not least the passage of time, the logistics of transferring sensitive evidence prepared for a court in the US to London for trial, the participation of US government witnesses in the trial and the need fully to comply with the duties of disclosure imposed on the CPS." McKinnon's mother, Janis Sharp, said today's news was "amazing". She said: "Gary admitted to the intrusion, he always denied the damage. I feel the 10 years have been gruelling, it's been life-destroying. It's difficult to explain how bad it's been. "To have this over is amazing. Gary's gone through enough. Other people have been accused of more serious hacking in this country and they've been given a £1,000 fine and a very short community sentence. "Gary regrets what he's done. He wishes he hadn't done it. He wishes he hadn't upset the Americans. We all regret it. But I'm grateful to Theresa May that this is all over now."